The first wave of lots in the 2008 Benefit Art Auction have been uploaded and are now viewable online. Click the image above to view the first 59 lots. New lots are arriving daily, so check back often because we're regularly updating and posting new pieces. SIGN UP FOR THE AUCTION ALERT if you'd like to be the first to know about new additions and breaking news. As an integral part of being dedicated to instruments of our time (the modern marimba + computer), Nathaniel Bartlett is also dedicated to the music of our time — making a great effort to compose, commission, perform, and record new works. In particular, he is interested in works that utilize three-dimensional, high-definition (24bit/96kHz), computer-generated sound projection. 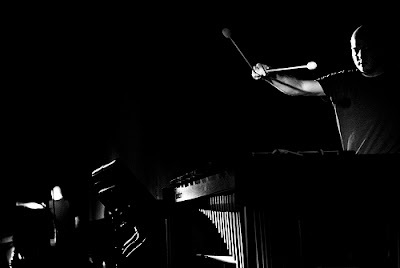 He performs with a rig that seamlessly melds his instrument with electronics, computers, and an eight-channel cube (+ subwoofer) of loudspeakers — a performance concept that he calls modern marimba3. With this equipment, Nathaniel is able to project and move sound anywhere in the performance space, totally immersing the audience in the music. 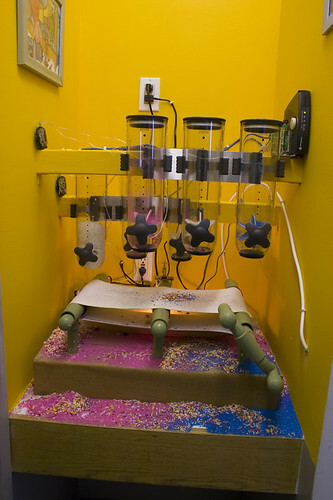 The computer-generated sounds relate quite well to the visual arts in that concepts of objecthood and spatial structure become a part of the musical fabric. Chic Cityrats, the wonderful French eZine, posted a great write-up about Meet the Made. Read the whole story by CLICKING HERE. 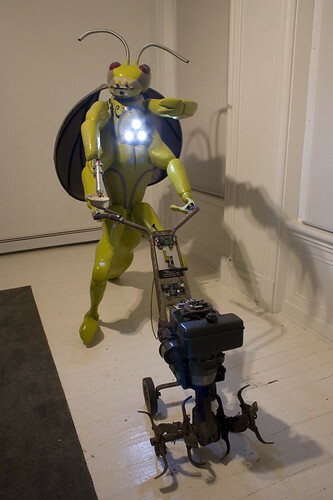 Continuing on the robot theme, today's Pittsburgh Tribune-Review includes a profile of artist Keny Marshall. 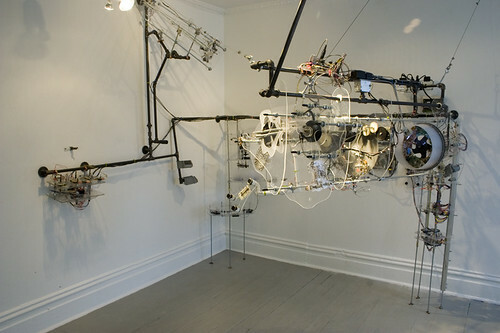 Keny's Robot 250 BigBot, Crickets, is currently on display in the museum's Winifred Lutz Garden. This morning's Pittsburgh Tribune-Review includes a review of Meet the Made, the eleventh installment of the Gestures Exhibition Series sponsored by Robot 250. "Meet the Made," the 11th installment of the Mattress Factory's "Gestures" series, is unique among its predecessors because its focus is on robotic art. Roberta Fallon just posted a nice article on Robot 250, the citywide robot extravaganza we're having here in Pittsburgh. 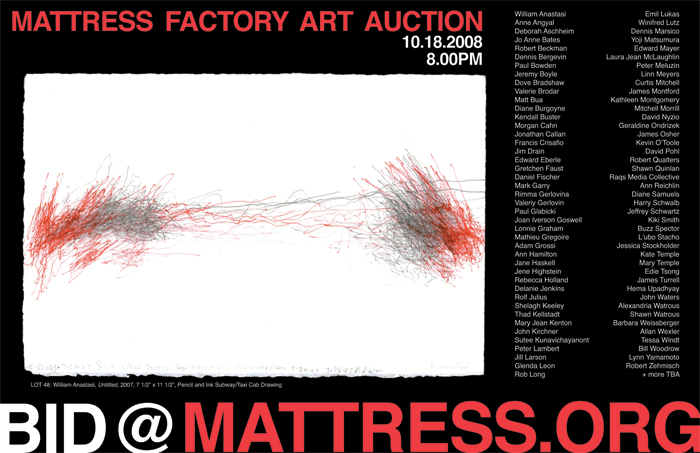 The Mattress Factory's Robot 250-related exhibitions, Meet the Made and a.k.a. Crickets, run through August 31 and August 10, respectively.